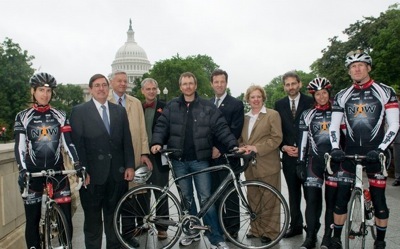 The Amazing Race host, Phil Keoghan, is riding a bike across America and stopped in DC for a photo opp yesterday. He’s been riding for more than 30 days now and is somewhere in Maryland at the moment. Read more about the ride on Phil’s blog. Photo credit: Getty Images.